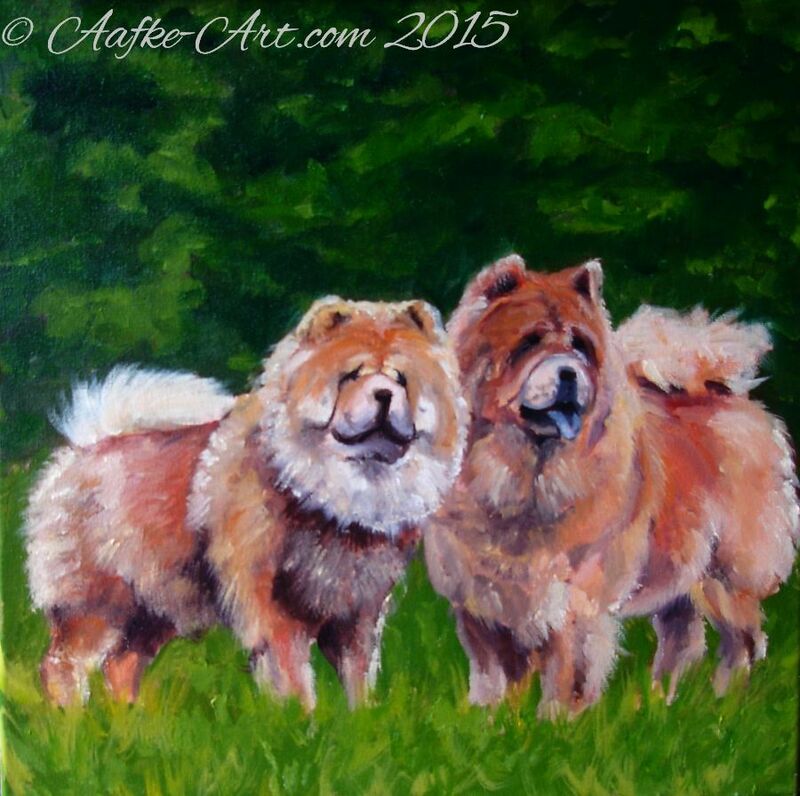 This is a painting from some years ago, I got a commission to paint two ChowChows. It was the first time I met real ChowChows! I made some sketches and photographs and went home. I needed to think this over, when I first met them these ChowChows seemed like giant fur balls with the only difference a slight shift in the colour. But they were dogs with distinctive personalities. And the more I looked at them the more detail I saw, the more their own personality did show. The owner was happy, which makes me happy. It is a smallish painting, 10” by 10”, acrylic on painters board. Or marouflé as I prefer to call it, sounds far more ”chique” don’t you think?. Thank you Lofter! I have changed themes, what do you think? This one is more elegant I think, simple, and shows my paintings in a larger size.